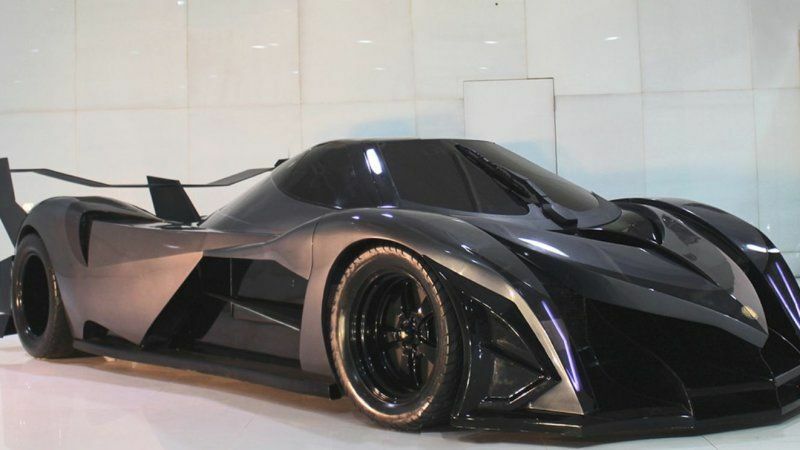 Dubai-based startup manufacturer unveiled its Devel Sixteen hypercar at the 2017 Dubai Motor Show on Tuesday.The body is made of super-light carbon fiber and powered by 81mm Quad Turbo 12.3 Litre V16 engine that generates a jaw-dropping 5007 Horsepower and 3757 lb-ft of torque. 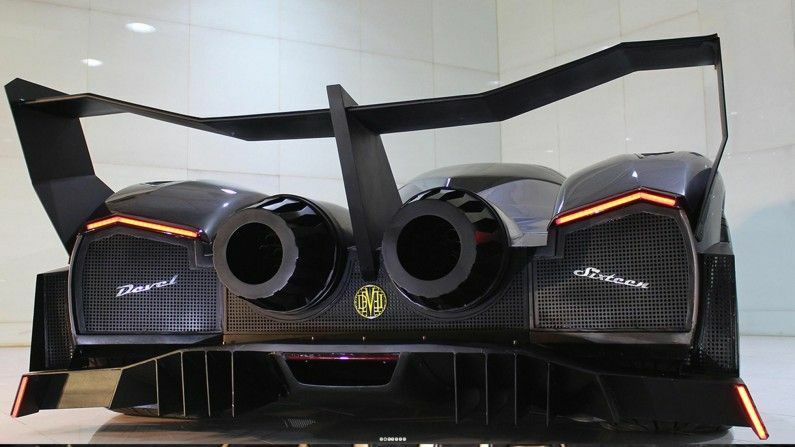 Claims are that it goes from 0-100kmph in 1.8 seconds while reaching top speeds of 498kmph. To put this in perspective, it's power is equivalent to four Bugatti Veyron Super Sports,a car with a 1200PS, 8.0-litre, quad-turbocharged W16 engine. The Devel sixteen faces a stiff supercar segment all vying for glory.Hennessey recently revealed the Venom F5, which it hopes will go 301 mph when it gets around to building a working vehicle. Koenigsegg and its team recently set a new top-speed record of 277.9 mph in the Agera RS. And let's not forget Bugatti, which certainly isn't finished with its Chiron supercar. And they expect sane men to buy and drive this. Have y'all noticed, all extreme cars look terrible and irrelevant. The task of starting it alone will finish the fuel. Driving it will require a fuel truck in tow. 5000 hp Lets go and see God abi?... see as the car low...bring it to nigeria roads and you will see a passat running faster than this. The car should be sent to heaven so Jesus can come speedily! The world is so corrupt, we need Devine revolution!!! People who don't need this car would still buy is it e.g. Uncle Dino Melaye. I will buy am when I get money,how much ? Devil, that's what it is! From rear view it look like double speaker radio of 80's use by DJ blast. This one nah car, and for which them wan drive am?? 1. Ugly 2. Devel....devilish! A No No for me!! You guys want us to drive Devil that have four lags and sixteen faces, una wan kill us alll!? ?